K. M. Steele was born in western NSW and lived in Far North Queensland for most of her life. She has travelled the world and completed a PhD in Creative Writing/ Australian Literature. She currently shares her Brisbane home with two teenage boys and a pack of dogs. Lionel Slender had always thought that his marriage was destined. He loved his wife, Tamara, in his own way and probably she had tried to love him too in the beginning. Still, his patience and love for her are constantly tested, but Lionel sticks through it all. Mary and Nancy, Tamara and Lionel’s daughters, are not spared either the constant strife that is so vivid in their parents’ marriage. One dark and fateful night, Tamara goes missing. Lionel claims she left the family of her own will while Mary believes that her father has something to do with her mother’s disappearance. Fueled by anger, pain and frustration, the split that occurs within the family runs for years. Return to Tamarlin by K.M. Steele follows the happenings and consequences of that horrific night. Filled with chilling suspense and scenes told with accurate realism, K.M. Steele’s Return to Tamarlin is definitely worth reading. The plot is brought to life by a hanging feeling of despondency among the characters as they try to move through the motions of life. The frustration that Mary, Nancy and Lionel feel is so real, yet their formidable strength to continue finding a purpose in life without Tamara is remarkable. The characters are well-defined with flaws and strengths that any reader will find engaging. There is also a lot to learn from the book. 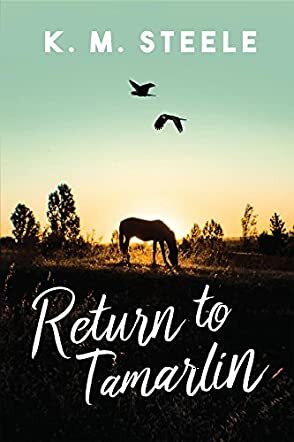 Return to Tamarlin is set in rural Australia, a great backdrop for the story. It is a literary gem. A story told with emotion and skill.